Following several delays, PAZ, Spain’s first radar imaging satellite lifted off into cold, clear skies from Vandenberg Air Force Base, Calif., on Feb. 22. Designed and built by Airbus Defence and Space, PAZ (Spanish for “peace”) is intended to perform global observation to assist with military and civil applications including search and rescue, maritime surveillance, tactical support, border control, natural disaster management, environmental monitoring, risk management, and counter-piracy actions. 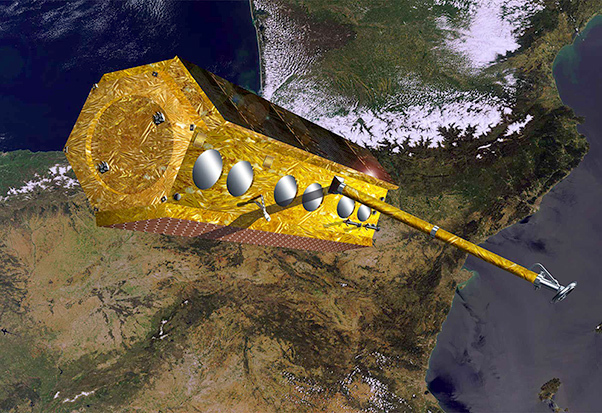 PAZ is Spain’s first Earth radar observation satellite and is part of the Spanish National Earth Observation Program, which is owned by the Spanish Ministry of Defence and the Ministry of Industry, Trade and Tourism. The satellite is controlled by Hisdesat, a Spanish government satellite services operator. Hisdesat signed a contract with Airbus Defence and Space for the development and construction of PAZ in November 2008. The spacecraft was then known as the Satélite Español de Observación SAR satellite. Its production and integration process was completed in Madrid in September 2013 and the launch was originally scheduled for the first quarter of 2015. PAZ was to be lofted into orbit on a Dnepr rocket, which is derived from the Russian SS-18 liquid-fueled intercontinental ballistic missile. Plans to launch the satellite on a Dnepr were scuttled after launch services company Komsotras (a Ukranian-Russian joint venture) had difficulties winning Russian government approval for additional launches of the Ukrainian-built rocket. Hisdesat turned instead to SpaceX and is attempting to recover money it paid Kosmotras for the repeatedly postponed Dnepr. The spacecraft was shipped to Vandenberg in December 2017. 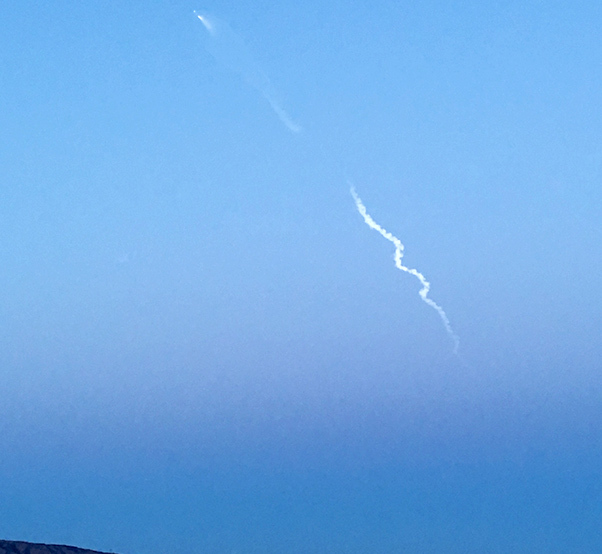 The Vandenberg launch was delayed twice when SpaceX officials requested additional time to check out an upgraded payload shroud, and once due to high-altitude winds that exceeded prescribed limits. PAZ was placed into a 319-mile, sun-synchronous orbit, where it will circle the globe 15 times a day. An advanced radar instrument will provide efficient monitoring of surface-based activities and perform high-resolution mapping of a large geographical area under all weather conditions, day or night. The spacecraft can store up to 256GB of data and supply more than 100 images per day. It can normally revisit specific targets every 11 days, and is expected to have an on-orbit mission duration of five and a half years. On its slightly inclined quasi-polar orbit, PAZ will cover the entire globe in 24 hours. With recent launches, SpaceX has been reliably demonstrating the reusability of the Falcon rocket’s first stage. 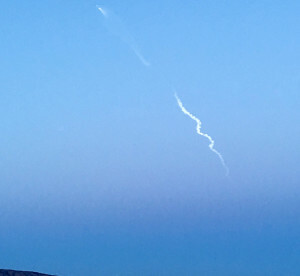 The PAZ satellite, for example, was lofted aboard the same rocket booster that launched Formosat-5 for the Taiwanese government in August 2017. Paz shares its orbit with two German radar satellites, TerraSAR-X and TanDEM-X, launched in 2007 and 2010. All three spacecraft cover identical ground swaths and use similar acquisition modes, reducing revisit time and increasing acquisition capacity. Airbus and Hisdesat will jointly manage commercial sales and marketing of the resulting radar data. In addition to the primary payload, the Falcon rocket was also carrying two prototype satellites, built by SpaceX. Microsat 2A and 2B, each weighing 882 pounds — small by spacecraft standards — will perform the first flight tests of the company’s integrated satellite hardware. The Microsats are being developed for StarLink, a planned global constellation to provide high-speed Internet service. SpaceX hopes StarLink will be competitive with such providers as Comcast, Time Warner, and others. Lower launch costs associated with placing these lightweight satellites into low Earth orbit (200-1,000 miles above Earth), would make them competitive with ground-based current standard heavyweight spacecraft in geostationary orbit (30,000-plus miles above Earth). The lower altitude will result in shorter transmission lag times, but the smaller satellites will need to be replaced more frequently as they reenter the atmosphere. 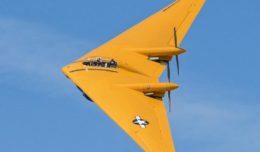 This will be offset by the smaller production and launch costs. The Falcon 9’s first stage booster, used last August to loft the Taiwanese Formosat 5 satellite, was not recovered. An attempt to catch the PAZ payload shroud using a parasail and a fast-moving recovery vessel was partially successful. Although the boat missed the rendezvous point by several hundred feet, the shroud landed intact in the Pacific Ocean.